Qatari FM says Trump is "wrong"
White House aide and son-in-law to President Trump Jared Kushner sought and failed to obtain a half billion dollar bailout that he requested from an affluent Qatari businessman for a huge real estate project, The Intercept first reported. Kushner Companies in 2007 bought 666 Fifth Avenue, a 41-story tower in Midtown Manhattan, for $1.8 billion in 2007. At the time of its purchase, it was the most expensive real estate deal ever in New York City. In 2015 and 2016, Kushner and his father Charles Kushner negotiated funds for refinancing the property directly with Qatar's former prime minister, billionaire Sheikh Hamad bin Jassim Al Thani, who is colloquially known as "HBJ," according to The Intercept. 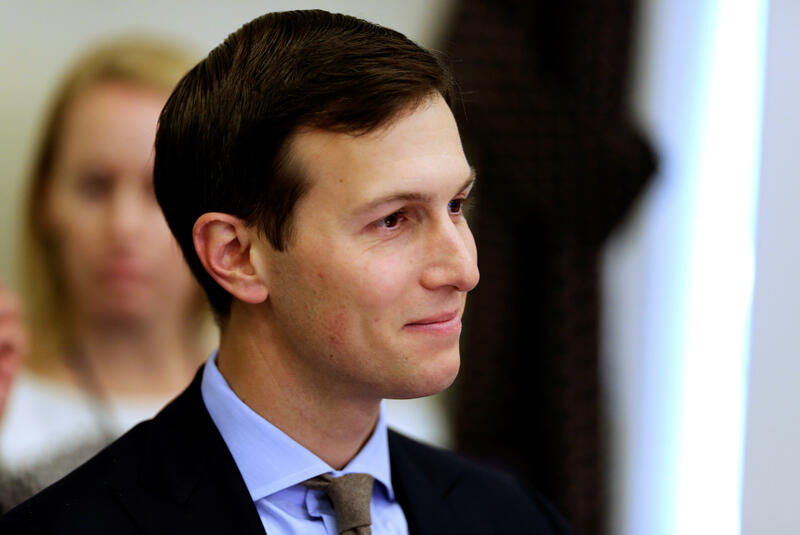 HBJ, reportedly agreed to invest a minimum of $500 million stemming from his investing firm Al Mirqab, contingent on the Kushner duo's ability to secure the remaining billions necessary to save the project on Fifth Avenue, according to one of The Intercept's sources. This sum still left the Kushners substantially short of what they'd need to redevelop the building. But following the election of Mr. Trump, the project attracted more interest. Other investors, including HBJ, would contribute an additional nearly $2 billion and the Kushners would invest $750 million of their own funds. The Kushners were also set to receive $400 million from Anbang Insurance Group, a Chinese financial conglomerate. This $400 million combined with $100 million from other investors, helped the Kushners recoup the full amount of their original investment in 666 Fifth Avenue. Additionally, Anbang was prepared to take out $4 billion worth of loans to raze the structure currently standing on the property and then replace it with an 80-story residential and retail skyscraper. In March, soon after the first media report of this deal and after Democratic lawmakers voiced concerns to the White House counsel over potential conflicts of interest, the Chinese insurer withdrew. At around the same time, according to Bloomberg, "negotiations with Al Thani also stalled." A spokesman for Kushner Companies told Bloomberg that the talks with Al Mirqab ended "recently." After the FBI concluded that Russian hackers sent out fake messages from the Qatari government falsely quoting Emir of Qatar Tamim bin Hamad Al Thani in a statement supporting Iran and denouncing Mr.Trump, Secretary of State Rex Tillerson called for an end to the blockade against Qatar. However, the president contradicted Tillerson's message with his own comments that Qatar has "historically been a funder of terrorism at a very high level." According to The Intercept, Tillerson believes Mr. Trump's comments, were written by UAE Ambassador Yousef Al-Otaiba and delivered to the president by Jared Kushner himself.